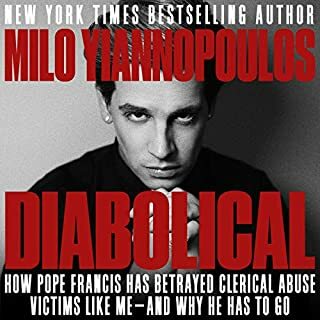 This book is about the great moral issues underlying many of the headline-making political controversies of our times. 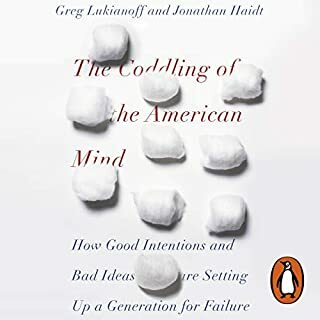 It is not a comforting book but a book about disturbing and dangerous trends. The Quest for Cosmic Justice shows how confused conceptions of justice end up promoting injustice, how confused conceptions of equality end up promoting inequality, and how the tyranny of social visions prevents many people from confronting the actual consequences of their own beliefs and policies. Those consequences include the steady and dangerous erosion of fundamental principles of freedom - amounting to a quiet repeal of the American revolution. The Quest for Cosmic Justice is the summation of a lifetime of study and thought about where we as a society are headed - and why we need to change course before we do irretrievable damage. 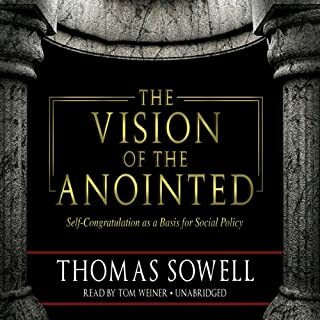 ©2001 Thomas Sowell (P)2017 Blackstone Audio Inc.
Thomas Sowell defines (traditional) justice as applying the same rules and same standards to everybody. He defines cosmic justice as equalizing the prospects for everybody. Those two concepts are incompatible. You cannot successfully pursue the two concepts simultaneously. Regular/traditional justice simply requires treating everyone the same. Cosmic justice must be tailored to each individual in society and thus requires massive government bureaucracy and power. 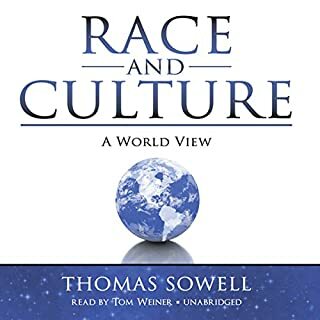 Sowell notes that many people refer to cosmic justice as social justice, but he notes that the term social justice does not really fit the concept. 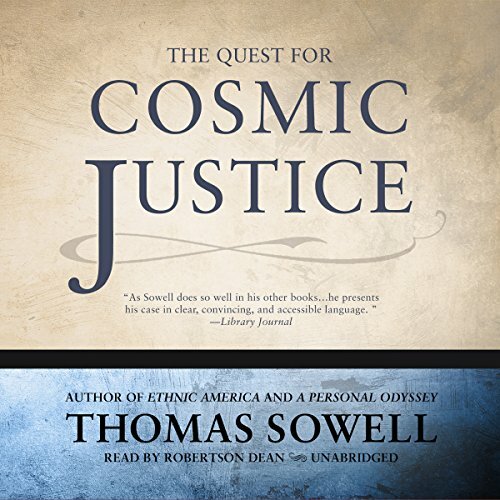 I recommend this COSMIC JUSTICE to everyone, but if you do not have time for the six hour audiobook consider listening to Dr. Sowell's fifteen minute lecture The Quest for Cosmic Justice which can be easily found on the Internet. The narration of Cosmic Justice by Robertson Dean is superb. 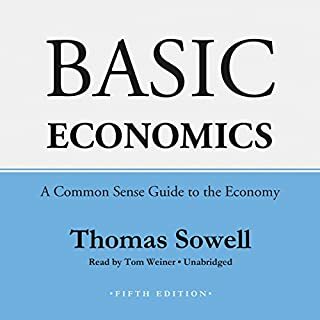 Eight-eight year old Thomas Sowell has a PhD in Economics from the University of Chicago. He grew up in Harlam and attended all black secondary schools. 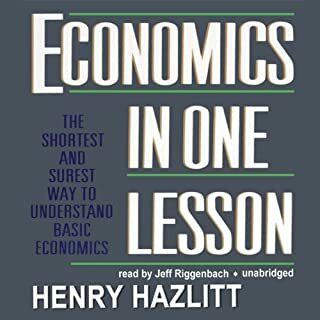 He has written many books, most of which are available at Audible, on economics and other topics. For many years he wrote a weekly syndicated newspaper column and many of his columns have been republished in book format. 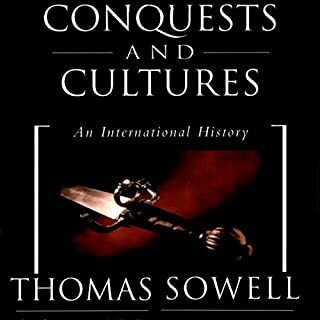 Dr. Sowell is a national treasure! 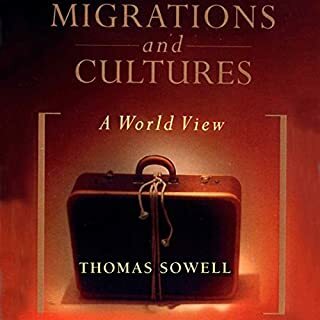 To achieve peace, prosperity-for-every-person, and justice, we must ask ourselves &quot;What approach to achieving these goals has worked in the past?&quot; That is the question that Sowell answers with his deep knowledge of history -- with well-stated facts. Many will dismiss his statements out-of-hand because it contradicts their ideology. 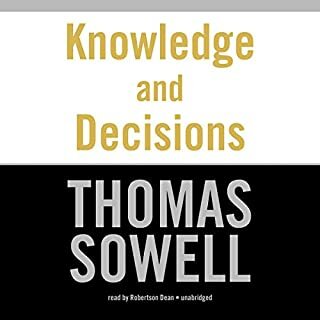 But if we want to know what works, we must not dismiss the point-of-view that Sowell states so clearly. 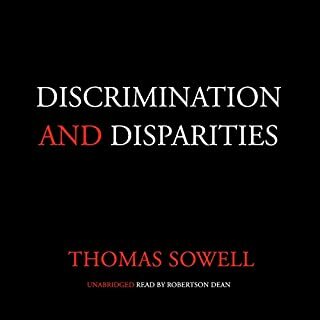 Thomas Sowell is an example of diversity-in-action. 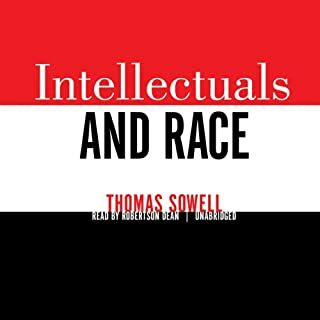 For a black man to state facts that don't conform to the orthodoxy that is demanded of a black person is a beautiful example of liberated thinking. I admire him greatly and learn so much as I listen to him. 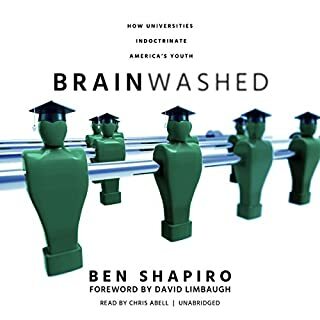 Powerful and Thorough look at social justice and the policies that stem from it, as well as their intentions and dangers. 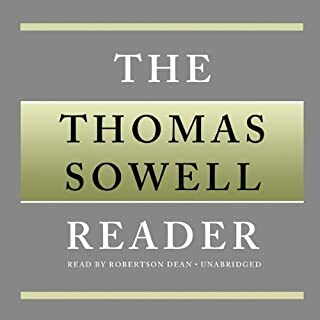 Thomas Sowell is an American treasure with a deeply analytical and articulate gift for explaining what is driving the dangerous push toward Socialism. collectivism and Marxism. So much wisdom and truth. I thought it was written a couple years ago. It was so contemporary. 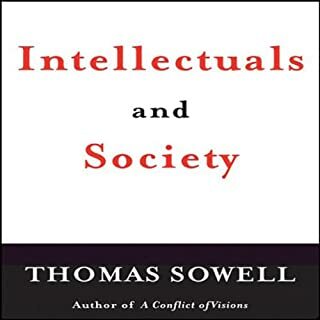 Thomas Sowell has a fine mind that is put to good use, and for our benefit . Enjoyed from beginning to end and will read again! 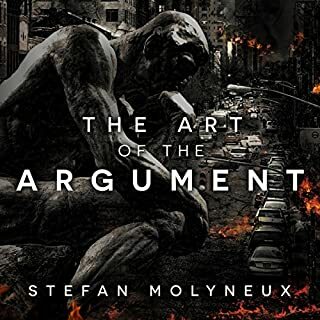 Historically I've struggled to find the time to research and pull together the history and data I knew was out there needed to defend conservative philosophy. 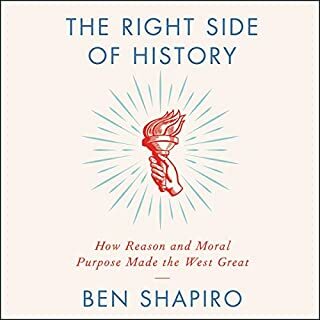 This book, recommended by Ben Shapiro does just that. Well done. I intend to reread this several times because there so much in it when you consider all the supporting evidence that's between the lines. 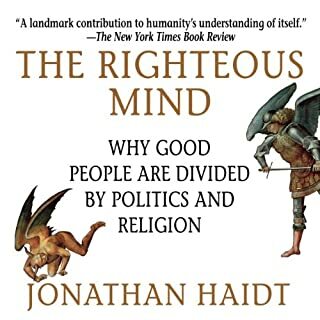 Highly recommended reading...or listening. As humans, it's embarrassing that we put "pundits" on the news but not someone like Thomas Sowell. Dude gets it. Read as many of his books as you can...regardless of political affiliation. Dude just gets it, and is a very clear and amazing writer to boot. 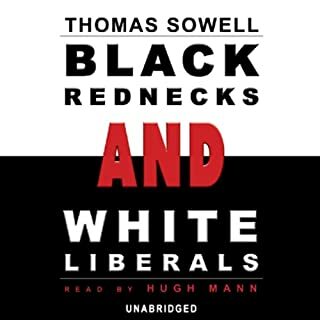 Thomas Sowell is one of the wisest minds living today. An utterly brilliant economist, social theorist, and political philosopher, he would have my vote for POTUS every time. Trump should nominate him to his cabinet and give him free reign on economic policy. His vast knowledge of history and unmatched proficiency in statistical analysis cuts right through the dishonest leftist agenda. A must-read. As perceived, the topic can be dry, but if it is your desire to better understand that which endeavors to divide the nation then your ability to retain the lesson is an easy task. The last days of the Republic?? fate of our great experiment. Long live the Republic. Few people can articulate the truth like Thomas Sowell. His justification that man cannot redress the inherent disparities of life is irrefutable. A must read. This books beautifully illustrates how the quest for cosmic (social) justice will inevitably end in tyranny. The signs are all around us, more so we’re complicit in the erosion of our freedoms. This is essential, evidence based wisdom, on the subject of Cosmic (social) justice. It is essential that all people understand just how costly and unjust social just is!